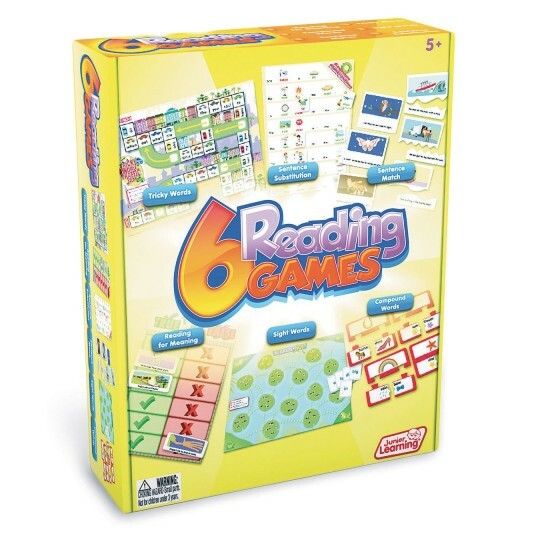 This set of educational games and activities is designed for teaching reading, including sight words, tricky words, compound words, reading for meaning, sentence matching and sentence substitution. Children will love learning word recognition and reading skills to win each game. Contents: 2 board games, 2 matching games, word puzzles, sentence puzzles, die and counters.